In the past couple of years, there have been several instances where companies focused on vector manufacturing have spun off from academic institutions. Considering that the demand for vectors is increasing, such firms are soon likely to scale-up their offerings for commercial purposes. Genetically modified therapies have emerged as a promising treatment option for various diseases (primarily ones that currently have no cure), including cancers, inherited disorders and certain viral infections. These therapies have demonstrated the potential to treat chronic indications, such as Alzheimer’s disease, Parkinson’s disease and rheumatoid arthritis, as well. Gene therapies, and other therapies that require genetic modification, involve the introduction of therapeutic DNA / gene of interest into a patient’s body / cells. This process is accomplished by the use of vectors. Over the last few decades, various viral and non-viral vectors have been developed, optimized and standardized for this purpose. Currently, the most popular viral vectors, on the basis of their use in active clinical trials, are those based on AAV, adenovirus, lentivirus and retrovirus. On the other hand, among non-viral gene delivery tools, plasmid DNA has emerged as the preferred option. Plasmid DNA is also used in the development and production of viral vectors and DNA vaccines. Recent advances have led to the emergence of several other innovative viral / non-viral gene delivery approaches that are being utilized for development of various therapies that require gene modification. Overall, eleven genetically modified therapies have been approved so far; these are (in the order of approval, most recent first) LUXTURNA™, YESCARTA™, Kymriah™, INVOSSA™, Zalmoxis™, Strimvelis™, Imlygic™, Neovasculagen™, Rexin-G®, Oncorine®, and Gendicine® . Amongst these, YESCARTA™ and Kymriah™ are T-cell based gene therapies that were recently approved by the FDA, in October 2017 and August 2017, respectively. In addition, over 430 gene therapy candidates are presently in different stages of clinical development, for which over 500 clinical studies are currently underway in various regions across the globe. The growing number of gene therapy candidates, coupled with their rapid progression through various phases of clinical development, is expected to continue to create an increasing demand for vectors. An overview of the current status of the market with respect to the players involved in manufacturing viral vectors, non-viral vectors and other / novel vectors. It features information on the location of their manufacturing facilities, year of establishment, scale of production, type of vectors manufactured and purpose of production (fulfilling in-house requirement / contract service provider) and the type of organization (industry / non-industry). Elaborate profiles of key players that are currently carrying out, or are planning to conduct, commercial scale production of viral vectors / plasmid DNA; each profile provides an overview of the organization, its financial performance (if available), information on its manufacturing facilities, vector manufacturing technology, recent investments, expansions and collaborations, and a comprehensive future outlook. A discussion on the factors driving the market and the various challenges associated with the vector production process. An estimate of the overall installed vector manufacturing capacity of industry players based on their reported capacities (wherever available) and additional data collated via both secondary and primary research. The analysis highlights the distribution of the global capacity by vector type (viral vector and plasmid DNA), scale of operation (clinical and commercial), regions (North America, EU, Asia Pacific and the rest of the world) and size of the organization (small-sized, mid-sized and large-sized organizations). An analysis of the various factors that are likely to influence the pricing of vectors, featuring different models / approaches that may be adopted by manufacturers to decide the prices of proprietary vectors. An in-depth analysis of the viral vector and plasmid DNA manufacturers, featuring three schematic representations; these include [A] a three dimensional grid analysis, representing the distribution of vector manufacturers (on the basis of the type of vector) across various scales of operation and purpose of production (in-house operations / contract manufacturing services), [B] a logo landscape of viral vector and plasmid DNA manufacturers based on the type (industry / non-industry) and the size of the industry player (small-sized, mid-sized and large companies), and [C] a schematic world map representation, highlighting the geographical locations of vector manufacturing hubs. An analysis of the recent collaborations (signed since 2015) focused on manufacturing of vectors on the basis of year in which the agreement was signed, type of agreement, type of vector, and scale of operation (laboratory, clinical and commercial). An overview of other viral / non-viral gene delivery approaches that are currently being researched for the development of therapies involving genetic modification. One of the key objectives of this report was to evaluate the current opportunity and the future potential of the vector manufacturing market over the coming decade. Based on various parameters, such as the likely increase in the number of clinical studies, increase in the patient population, existing price variations among different vector types, and the anticipated success of commercial gene therapy products, we have provided an informed estimate of the likely evolution of the market in the short to mid-term and long term, for the period 2018-2030. In addition, we have provided the likely distribution of the market based on type of vectors (AAV vector, adenoviral vector, lentiviral vector, retroviral vector, plasmid DNA and others), applications (gene therapy and T-cell therapy), therapeutic area (oncology, inflammation & immunology, neurological, ophthalmology, muscular, metabolic disorder, cardiovascular disorder and others), scale of operation (clinical, commercial and both) and geography (North America, EU, Asia Pacific and rest of the world). During our research, we identified over 160 manufacturers that are actively involved in the production of viral vectors and plasmid DNA; of these, around 15 players claim to have the capabilities to manufacture both vector types. The current market landscape features a healthy mix of industry players and non-industry players. Amongst the industry players, over 50% are large or mid-sized firms (with more than 50 employees). Several established firms have been involved in the production of vectors over the past few decades. 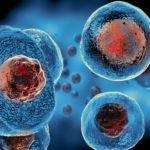 However, the growing demand for these products have spurred the establishment of many start-ups in the recent years, such as (in the order of year of establishment) ViralGEN, Brammer Bio, YPOSKESI, VIVEbiotech, Xpress Biologics, 4D Molecular Therapeutics, GEG Tech, Cell and Gene Therapy Catapult and Vigene Biosciences. More than 60 non-industry players, including universities, research institutes and hospitals, are also currently involved in producing viral vectors or plasmid DNA for use in genetically modified therapies. Examples of such organizations include (in alphabetical order, no selection criteria) Baylor College of Medicine, Cornell University, Duke University, Emory University School of Medicine, Harvard Gene Therapy Initiative, Institute of Medical Science Research Hospital, Memorial Sloan Kettering Cancer Center, St. Jude Children's Research Hospital, Telethon Institute of Genetics and Medicine, University of Florida, University of Iowa Carver College of Medicine, University of Massachusetts Medical School, University of Michigan Medical Center, University of North Carolina, University of Pittsburgh, University of Pennsylvania and University of South Carolina School of Medicine. In fact, there are several industry initiatives that are either closely affiliated to or have spun-off from academia. As most genetically modified therapies (including T-cell based therapies) are currently under development, the demand for research and clinical grade vectors is more than that for commercial grade vectors. We observed that approximately 80% of the players in this area manufacture vectors at the laboratory and / or clinical scale. However, some firms (around 30, as per our research) have developed / are developing commercial scale capacity for the production of viral vectors or plasmid DNA. Prominent examples include (in alphabetical order, no selection criteria) Biovian, BioReliance / SAFC, Cell and Gene Therapy Catapult, Cobra Biologics, FinVector, FUJIFILM Diosynth Biotechnologies, Kaneka Eurogentec, Lonza, MassBiologics, MolMed, Novasep, Oxford BioMedica, Vigene Biosciences and WuXi AppTec. More than 80% of the players in this domain offer contract manufacturing services for vectors. However, certain well-established players that are actively involved in the development of genetically modified therapies or have received marketing authorizations for such therapies have acquired the necessary capabilities to produce cGMP grade vectors in-house; examples include Amgen, Shenzhen Sibiono GeneTech and uniQure. It is also worth highlighting that there are several players that produce research / clinical / commercial grade vectors for both in-house and outsourced operations. Examples of such companies include (in alphabetical order, no selection criteria) 4D Molecular Therapeutics, ATVIO Biotech, Biomay, GEG Tech, ID Pharma, LakePharma, MolMed, Oxford Genetics, Okairos, VGXI and Vibalogics. Although, the first three gene therapy products (namely Gendicine®, Oncorine® and Rexin-G®) were approved in Asian countries, North America and the EU are presently considered to be vector manufacturing hubs due to the high volume of active clinical studies, requiring vectors, being conducted in these regions. Approximately 52% of the vector manufacturing facilities that we came across are located in North America; this is followed by the EU, where approximately 38% of the world’s vector manufacturing facilities are situated. Specifically, in the Asia Pacific region, the key players that offer vector manufacturing (at clinical / commercial scale) include Cellular Biomedicine Group, Gene Medicine Japan / Kobe Biomedical Accelerator, ID Pharma and Takara Bio. The current installed global vector manufacturing capacity for viral vectors and plasmid DNA is estimated to be over 50 thousand litres. It is worth mentioning that the major share (70%) of the global vector manufacturing capacity belongs to companies that are manufacturing vectors at both clinical and commercial scales. Across the major global regions, 50% of the total installed vector manufacturing capacity is in the US. This can be attributed to the large number of small-sized and mid-sized companies that are presently situated in this region. Owing to various challenges associated with vector manufacturing, innovative and advanced technology platforms have been developed to improve process outcomes and mitigate the challenges related to safety, stability, purification and scale up, associated with conventional methods of vector production. Examples of such platforms include (in alphabetical order, no selection criteria) CAP®-GT (CEVEC Pharmaceuticals), GMP-Source™ plasmid DNA (Aldevron), HyperGRO™ (Nature Technology Corporation), LentiVector® platform (Oxford BioMedica), NAV® technology (REGENXBIO), ORT® technology (Cobra Biologics) and Staby® technology (Delphi Genetics). Moreover, certain companies are also involved in the development of innovative viral / non-viral gene delivery approaches, featuring the use of alphavirus, Bifidobacterium longum, Listeria monocytogenes, minicircle DNA, myxoma virus, Sendai virus, self-complementary gene sequences and transposons (Sleeping Beauty). Companies involved in the manufacturing of these vectors include (in alphabetical order, no selection criteria) Aldevron, Biomay, ID Pharma and BioReliance / SAFC. The field has also witnessed the establishment of several partnerships between drug developers, vector manufacturers and other industry stakeholders. Around 80 collaboration agreements were inked during the period 2015-Q1 2018; the maximum number of instances (31) were reported in 2016, followed by 22 partnerships that were established in 2017. Around 30% of the deals were related to the manufacturing of vectors across different scales of operation; this was followed by technology licensing agreements (~26%). Driven by the rapidly evolving pipeline of genetically modified therapies (including T-cell based therapies) and the increasing adoption of advanced production technologies, the vector manufacturing market is likely to grow at an accelerated pace. Overall, we expect the market to grow at an annualized rate of over 20% over the next decade. Specific to vector types, lentiviral vectors, followed by retroviral vectors, currently capture the largest share of the market; this is because several T-cell based gene therapies that are currently being evaluated in clinical studies are utilizing these vector types. By 2030, the landscape is likely to evolve as other vector types gain prominence. Oncological indications will drive the demand for vectors (over 80%) over the next decade. In the short-term, clinical products are expected to dominate the market as commercial scale activity gradually becomes mainstream; in fact, by 2030, we expect commercial products to cater to over 75% of the total demand for viral vectors and plasmid DNA. Chapter 2 is an executive summary of the insights captured in our research. The summary offers a high-level view on the likely evolution of the viral vectors and plasmid DNA manufacturing market in the short to mid-term, and long term. Chapter 3 is a general introduction to the various types of viral and non-viral vectors. It includes a detailed discussion on the design, manufacturing requirements, advantages, limitations and applications of currently available gene delivery vectors. The chapter also provides a brief description of the clinical and approved pipeline of genetically modified therapies. Furthermore, we have provided an overview of the latest trends and innovations in the current vector manufacturing market. Chapter 4 provides a comprehensive overview of around 130 companies / organizations, featuring both contract service providers and in-house manufacturers that are actively involved in the production of viral vectors. The chapter provides details on the type of organization (industry / non-industry), year of establishment, geographic location of facilities and vector production capabilities, specifically focusing on the scale of operation, type of vectors manufactured and the purpose of vector production (fulfilling in-house requirement / contract service provider). Chapter 5 provides a comprehensive overview of around 55 contract service providers / in-house manufacturers that are actively involved in the production of plasmid DNA. The chapter provides details on the type of organization (industry / non-industry), year of establishment, geographic location of facilities and, their vector production capabilities, specifically focusing on the scale of operation, type of vectors manufactured and the purpose of vector production (fulfilling in-house requirement / contract service provider). Chapter 6 features detailed profiles of the contract service providers / in-house manufacturers based in the US that possess commercial scale capacities for production of viral vectors / plasmid DNA. Each profile presents a brief overview of the company, its financial performance (if available), details on vector manufacturing facilities, manufacturing experience, recent investments / expansions, relevant collaborations and partnerships that have been inked over the last few years, and a comprehensive future outlook. Chapter 7 features detailed profiles of the contract service providers / in-house manufacturers based in EU that possess commercial scale capacities for the production of viral vectors / plasmid DNA. Each profile presents a brief overview of the company, its financial performance (if available), details on vector manufacturing facilities, manufacturing experience, recent investments / expansions, the relevant collaborations and partnerships that have been inked over the last few years, and a comprehensive future outlook. Chapter 8 features detailed profiles of the contract service provider(s) / in-house manufacturer(s) based in the Asia Pacific that possess commercial scale capacities for production of viral vectors / plasmid DNA. Each profile presents a brief overview of the company, its financial performance (if available), details on vector manufacturing facilities, manufacturing experience, recent investments / expansions, the relevant collaborations and partnerships that have been inked over the last few years, and a comprehensive future outlook. Chapter 9 offers detailed information on other viral / non-viral vectors (including alphavirus vectors, Bifidobacterium Longum vectors, Listeria monocytogenes vectors, myxoma virus based vectors, Sendai virus based vectors, self-complementary vectors (improved versions of AAV), and minicircle DNA and Sleeping Beauty transposon vectors (non-viral gene delivery approach) that are currently being utilized by pharmaceutical players to develop gene therapies, T-cell therapies and certain vaccines, as well. This chapter presents general information on all the aforementioned types of vectors, along with examples of companies that use them in their proprietary products. It also includes examples of companies that are utilizing specific technology platforms for the development / manufacturing of some of these novel vectors. Chapter 10 features an elaborate analysis and discussion of the various collaborations and partnerships that have been inked amongst players related to the manufacturing of vectors or vector-based products. We have also discussed the different partnership models (including licensing agreements, mergers / acquisitions, product development agreements, service alliances, vector manufacturing agreements, and other popular deals / agreements) that have been adopted in this domain since 2015. It consists of a schematic representation showcasing the players that have established the maximum number of alliances related to the manufacturing of vectors. Furthermore, we have provided a world map representation of the deals inked in this field, highlighting those that have been established within and across different continents. Chapter 11 presents a collection of key insights derived from the study. It includes a grid analysis, highlighting the distribution of viral vectors and plasmid DNA manufacturers on the basis of their scale of production and purpose of manufacturing (fulfilling in-house requirement / contract service provider). In addition, it consists of a logo landscape, representing the distribution of viral vector and plasmid DNA manufacturers based on the type of organization (industry / non-industry) and size of employee base. The chapter also consists of six world map representations of manufacturers of viral / non-viral vectors (lentiviral, adenoviral, AAV and retroviral vectors, and plasmid DNA), depicting the most active geographies in terms of the presence of the organizations. Furthermore, we have provided a schematic world map representation to highlight the locations of global vector manufacturing hubs across different continents. Chapter 12 highlights our views on the various factors that may be taken into consideration while pricing viral vectors / plasmid DNA. It features discussions on different pricing models / approaches, which a manufacturer may choose to adopt to decide the price of its proprietary products. Chapter 13 features a comprehensive analysis of the overall installed capacity of viral vector and plasmid DNA manufacturers. The analysis is based on meticulous data collection of reported capacities, via both secondary and primary research, of various small-sized, mid-sized and large-sized companies, distributed across their respective facilities. The results of this analysis were used to establish an informed opinion on the vector production capabilities of the organizations across different types of vectors (viral vectors, plasmid DNA, and both), scale of operation (clinical and commercial) and geographies (North America, EU, Asia Pacific and the rest of the world). Chapter 14 presents a comprehensive market forecast analysis, highlighting the likely growth of the market of viral vectors and plasmid DNA till the year 2030. We have segregated the financial opportunity by type of vectors (AAV vector, adenoviral vector, lentiviral vector, retroviral vector, plasmid DNA and others), applications (gene therapy and T-cell therapy), therapeutic area (oncology, inflammation & immunology, neurological, ophthalmology, muscular, metabolic disorder, cardiovascular disorder and others), scale of operation (clinical, commercial and both) and geography (North America, EU, Asia Pacific and rest of the world). Due to the uncertain nature of the market, we have presented three different growth tracks outlined as the conservative, base and optimistic scenarios. Chapter 15 provides details on the various factors associated with popular viral vectors and plasmid DNA that act as market drivers and the various challenges associated with the production process. This information has been validated by soliciting the opinions of several industry stakeholders active in this domain. Chapter 16 presents insights from the survey conducted for this study. We invited over 150 stakeholders involved in the development of different types of gene therapy vectors. The participants, who were primarily Director / CXO level representatives of their respective companies, helped us develop a deeper understanding on the nature of their services and the associated commercial potential. Chapter 17 summarizes the entire report. The chapter presents a list of key takeaways and offers our independent opinion on the current market scenario and evolutionary trends that are likely to determine the future of this segment of the industry. Chapter 18 is a collection of interview transcripts of the discussions held with key stakeholders in the industry. We have presented details of interviews held with Joost van den Berg (Director, Amsterdam BioTherapeutics Unit), Semyon Rubinchik (Scientific Director, ACGT), Nicole Faust (Chief Executive Officer & Chief Scientific Officer, CEVEC Pharmaceuticals), Olivier Boisteau, (President / Co-Founder, Clean Cells), Laurent Ciavatti (Business Development Manager, Clean Cells), Xavier Leclerc (Head of Gene Therapy, Clean Cells), Colin Lee Novick (Managing Director, CJ Partners), Cedric Szpirer (Executive & Scientific Director, Delphi Genetics), Nicolas Grandchamp (R&D Leader, GEG Tech), Bakhos A Tannous (Director, MGH Viral Vector Development Facility, Massachusetts General Hospital), Alain Lamproye (President of Biopharma Business Unit, Novasep), Astrid Brammer (Senior Manager Business Development, Richter-Helm), Marco Schmeer (Project Manager, Plasmid Factory), Tatjana Buchholz (Marketing Manager, Plasmid Factory), Jeffrey Hung (Chief Commercial Officer, Vigene Biosciences), and Brain M Dattilo (Business Development Manager, Waisman Biomanufacturing). Chapter 19 is an appendix, which provides tabulated data and numbers for all the figures in the report. Chapter 20 is an appendix, which contains the list of companies and organizations that have been mentioned in the report.